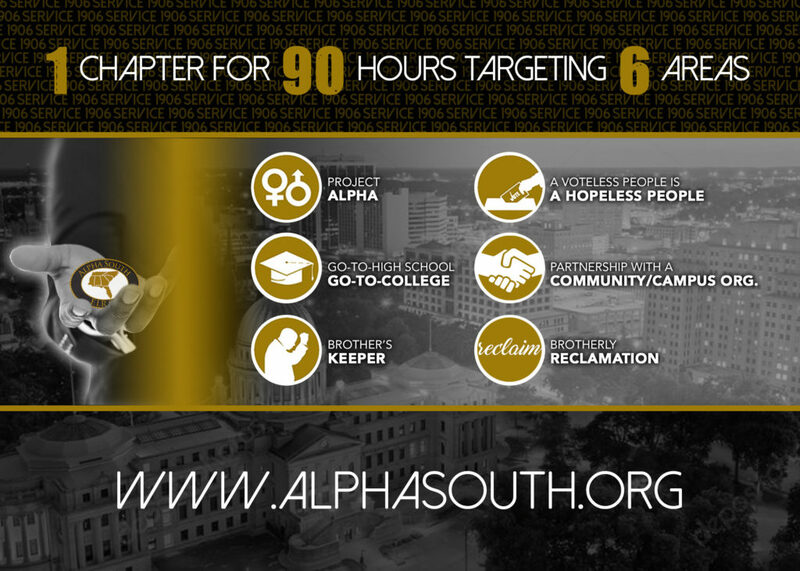 SERVICE 1906 is a compilation of Alpha South’s service to humanity. With SERVICE 1906, we are able to capture one (1) chapter providing 90 hours of service that targets six (6) areas. Using the SERVICE 1906 form (by selecting the link below), chapters can report their service in the six areas. Chapters will be recognized when they complete 45, 90, and 90+ hours. Chapters may count their efforts beginning July 1, 2018 to June 30, 2019.